Kenyans have taken to twitter to express their frustrations, after the government announced the introduction of Housing Fund Levy on employed persons in the public and private sectors. The Government through the Ministry of Transport announced that 1.5 percent of net salaries of employees would be deducted beginning end of April, as Housing Fund Levy. In the announcement, the transport Ministry said that employers and employees would all contribute, as long as the sum does not exceed Sh5, 000, which government will use to build affordable homes by 2022. 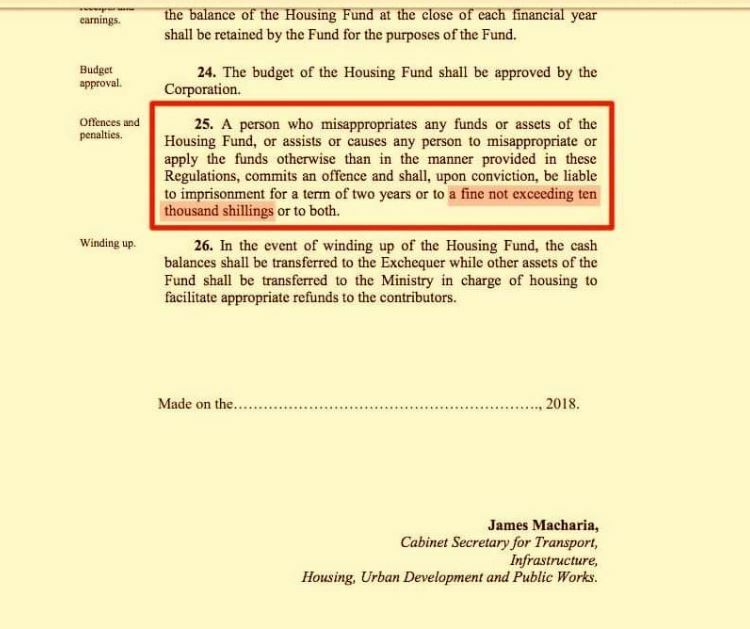 Kenyans have now united against the move, under the #ResistHousingFundLevy to preach against the contributions brought about by the Finance Bill 2018 which was approved by President Uhuru Kenyatta, introducing the mandatory levy on workers. Some of the issues they have raised include; lack of public participation, some arguing that the fund should be voluntary, while others expressed distrust in how government has been losing funds to corruption and the high cost of living being endured by Kenyans.